Atheneum/Caitlyn Dlouhy Books, 9781416961468, 304pp. Heroism and heartbreak pave their path, but Isabel and Curzon won’t stop until they reach Ruth, and then freedom, in this grand finale to the acclaimed Seeds of America trilogy from Laurie Halse Anderson. Co-protagonists Isabel and Curzon (Chains, 2008, and Forge, 2010) return in this long-awaited third and final volume in Anderson’s award-winning Seeds of America trilogy. The year is now 1781 and two teenage fugitives are 12 miles from Charleston, South Carolina, in search of Isabel’s younger sister Ruth, stolen away from her many years before. To Isabel’s great joy, find her they do but, inexplicably, Ruth refuses to return Isabel’s affection, remaining cold and distant even when the three, along with farm boy Eben, set off to walk to Rhode Island and freedom. Will they reach their destination? Perhaps, but in the meantime they arrive in Williamsburg, Virginia, where, to Isabel’s great distress, Curzon re-enlists in the Continental Army. The action then moves to the siege of Yorktown even as Isabel and Curzon’s often stormy relationship continues to evolve. But to what end? The plot-rich text makes for compelling reading and the well-developed characters continue to invite reader empathy. Anderson demonstrates a particular talent for verisimilitude, bringing history to compelling life while she continues to develop her theme of the quest for liberty and the cruel irony that, during a war for freedom, there should remain slavery. Yes, readers, it was worth the wait. HIGH-DEMAND BACKSTORY: Chains and Forge are considered highlights of an author career packed with highlights, and this final installment comes with a book tour, floor displays, and more. The final book in the trilogy finds escaped slaves Isabel and Curzon three years into their grueling search for Isabel’s little sister Ruth and deeply divided in their beliefs of who is fighting for their freedom: the Patriots or the British. In 1781, the American Revolution rages on. When Isabel and Curzon discover 12-year-old Ruth on a plantation near Charleston, SC, they rejoice; agree to bring Ruth’s friend, Aberdeen, with them; and quickly begin their secretive return journey north. After struggling to survive in the wilderness, the runaways are emboldened to separate and blend into the turmoil of the Patriot encampments, first at Williamsburg and then at Yorktown. Curzon becomes a Patriot soldier, Aberdeen lives a dual life as a spy for the British, and Isabel and Ruth find work in a laundry. When the sisters are threatened with recapture, they flee again and reinvent themselves as cooks for the soldiers at Yorktown. Their plight offers a less explored perspective on the motivations and hopes of black soldiers during the American Revolution—freedom from slavery, not just from England. Fascinating facts, anecdotes, and real personalities and events are smoothly woven into this fictional story. The unheralded supportive role of women on the battlefield is depicted. Ruth’s stubborn nature adds emotional complexity that challenges and ultimately deepens Isabel’s compassion and understanding of others. VERDICT A rich cast of characters, nonstop adventures, lively dialogue, vivid battlefield descriptions, budding romance, and an informative appendix are hallmarks of this excellent novel and this compelling, must-have historical fiction series. 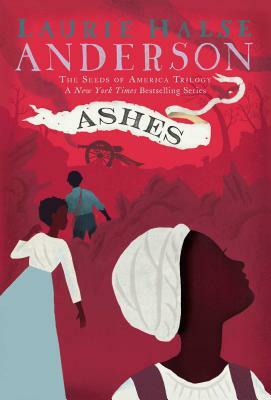 Picking up in June 1781, three years after Forge (2010), this thrilling conclusion to Anderson’s Seeds of America trilogy finds former slaves Isobel and Curzon finally locating Isobel’s younger sister, Ruth, on a South Carolina plantation. The reunion is not a happy one: while Ruth, now 12, has been cared for by fellow slaves on the plantation, she rebuffs Isobel. Curzon and Isobel are also at odds over his desire to enlist in the fight for independence. Despite the discord, the three head north—joined by Aberdeen, an escaped slave from the plantation—stopping in Williamsburg, Va., where patriots are preparing for an assault on Yorktown. As in the previous two books, Anderson’s vividly detailed writing immerses readers in the hardships of her heroes’ travels and the harsh realities of war. Isobel’s eventual reconciliation with Ruth, her growing understanding of Curzon’s need to fight, and her recognition of the true feelings between them all work to guide the story to an emotionally satisfying conclusion. It’s a gripping finish to an epic journey that speaks resoundingly to the human capacity to persevere. Ages 10–14. It’s been five long years since Isabel’s younger sister, Ruth, was stolen away by hated slave owner Madam Lockton (Chains, rev. 11/08), but as Isabel continues her fraught journey south in June 1781 with her companion, Curzon, she remains as determined as ever to find and rescue her sister. On a semi-abandoned South Carolina plantation, they do find Ruth, but she has made a home there and is aloof and even hostile to Isabel. This attitude, coupled with Ruth’s slight mental impairment, makes their continuing escape (as Isabel, Curzon, and Ruth flee the plantation when the white overseer returns) even more perilous. Heading north, they are inexorably drawn toward Yorktown, setting of the climactic battle of the American Revolution. Anderson takes full advantage of unfolding history to weave a plethora of historical detail into the narrative, while her characters confront the relative merits of the American and British positions in relation to the status of African Americans. Isabel comes to realize that “freedom would not be handed to us like a gift. Freedom had to be fought for and taken.” By questioning the fundamental principles upon which this nation was founded, the Seeds of America trilogy does for middle grade readers what M. T. Anderson’s Octavian Nothing books (rev. 9/06 and 9/08) do for young adult readers. And amidst the moral quagmire of colonial-American racial politics, Isabel and Curzon resolve the romantic tension that has simmered throughout the series and forge a hopeful, clear-eyed vision of their shared future. The concluding volume of Anderson’s Seeds of America Trilogy finds slaves Isabel and Curzon on the run as the War for Independence draws to a close. They were adolescents when the war began in Chains (BCCB 11/08), and now as young adults they face not only the trials of war and desperate strategies to secure their personal freedom but also their feelings for each other as they try to envision an adult future. Curzon has agreed to stay with Isabel until she locates her younger sister, Ruth. The anticipated reunion, however, doesn’t bring the joy Isabel hoped for: Ruth wants nothing to do with her, having formed a warm family bond with a slave couple on their owners’ South Carolina property. Moreover, Curzon has now discharged his promised obligation, and considering his and Isabel’s disagree- ment on whether their best chances lie with the British or Continentals, it seems likely he will go his own way. Still, the three head northward together and Isabel reaches a tentative rapprochement with Ruth, but Isabel still worries about Curzon’s intentions. He throws his lot in with the Patriots, and it is during the hard-fought battle at Yorktown that Isabel finally realizes his love for his country is as big and as passionate as his love for her, and to him, there is no difference. If this seems a bit sunny, given the grim episodes they have weathered throughout the series, Anderson leaves the details of their future for readers to work out. With slave catchers on the prowl at the war’s end, the Continental Army unable (unwilling?) to protect its black fighters, and a long road ahead to safety in the North, there’s no lock on happily ever after. A Q & A–styled appendix provides additional historical context and suggested resources.